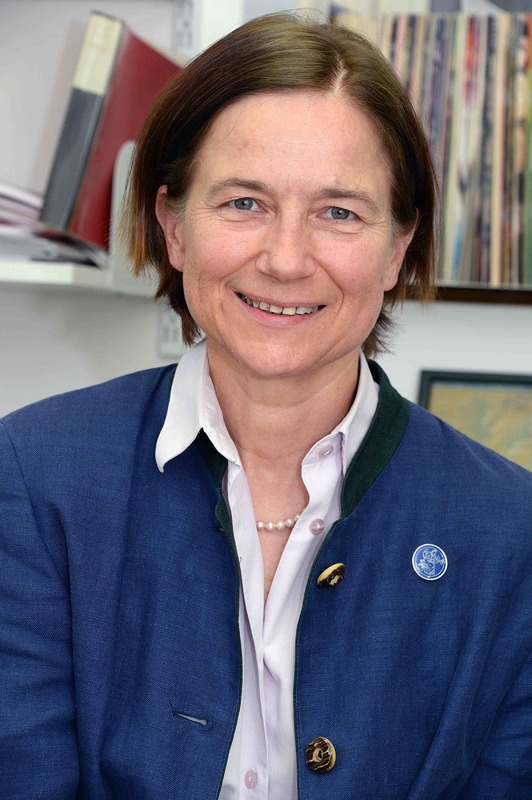 The Trustees of the Ancient India and Iran Trust are delighted to congratulate fellow Trustee Almut Hintze, Zartoshty Brothers Professor of Zoroastrianism at SOAS, on being elected a Fellow of the British Academy. Prof. Hintze joins our Chairman, Prof. Nicholas Sims-Williams and Prof. Julius Lipner as the third trustee to be a fellow of the British Academy. Prof. Hin tze was elected along with three colleagues from SOAS, all of whom were recognised for their outstanding research. Professor Hintze’s work focuses on Indo-Iranian philology and Zoroastrian literature and religion. She is currently working on a critical edition and translation of the Avestan and Pahlavi Yasna, the core ritual of the Zoroastrians. Professor Hintze was also a co-curator of The Everlasting Flame: Zoroastrianism in History and Imagination exhibition, and most recently, she was teaching ‘An Introduction to the Avestan Language’ in Pune, India this summer. Wonderful. Three cheers for Almut – She truly deserves this honour. I would also like to congratulate Almut on her election as Fellow of the British Academy. The Trust was, of course, founded by five scholars, two of whom were FBAs: Harold Bailey and Raymond Allchin. The number then went up to three in the 90s with the appointment of Nicholas Sims-Williams, but down again to two with the death of Bailey in 1996 and one with the death of Allchin in 2010. But the trajectory is upwards again. We now have three Trustees again who are FBAs, with specialisms ranging from Indian religion to Iranian religion and philology: Nicholas Sims-Williams, Julius Lipner, and Almut Hintze. Four soon?.